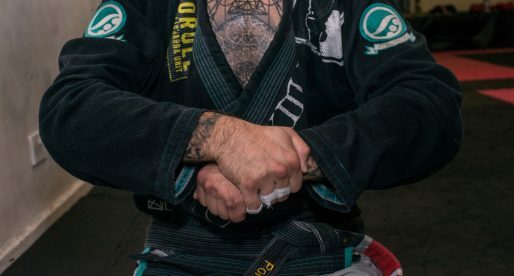 Home Posts Tagged "1980s Jiu Jitsu"
Carlos Rollyson is a Brazilian jiu jitsu (BJJ) coral belt (7th degree) who earned his black belt from Master Carlson Gracie, having also a black belt in judo, which he achieved while training under Takise Ueda. 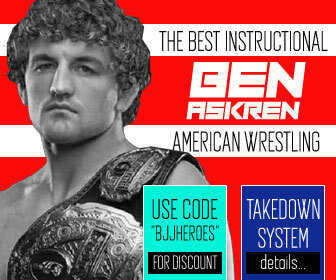 After the passing of his BJJ mentor, Rollyson decided to leave the Carlson Gracie Academy, joining the multiple time world champion team, Alliance Jiu Jitsu. 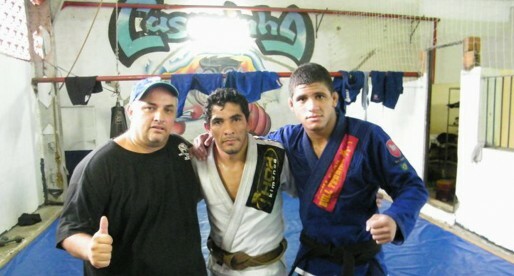 Carlos Rollyson is also one of the most high ranked jiu jitsu figures in South Florida. Carlos Rosado is a Brazilian jiu jitsu red belt, the highest grade possible in BJJ, being not only the youngest man to ever receive the honour in the sport, but also the only red belt ever awarded by the late Master Carlson Gracie. 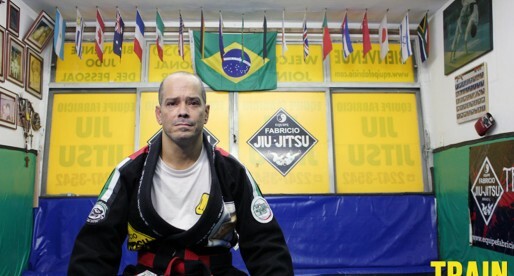 Regarded by many as the best student from Carlson Gracie’s first generation of black belts, Carlos Rosado is also the founder of the Rosado Jiu Jitsu Academy. 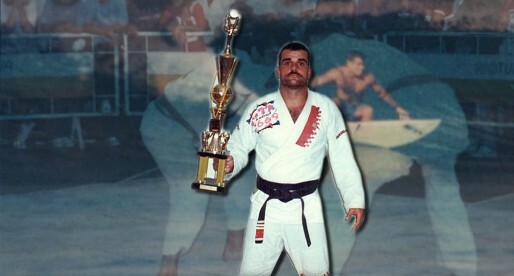 Sergio “Malibu” was one of the most recognizable figures in Jiu Jitsu during the 1980s and 1990s. One of the main advocates for the surfing/jiu jitsu lifestyle crossover, and former Pan American and Brazilian National Jiu Jitsu Champion, Malibu was a student of Rolls Gracie and Rickson Gracie who became highly involved with the start of the Master Academy of Romero Cavalcanti. 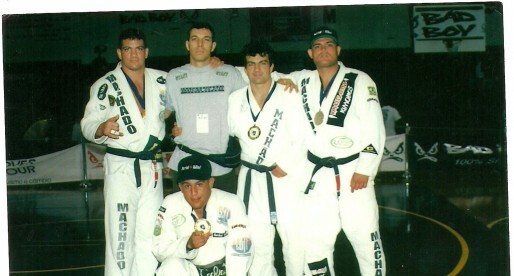 Julio “Foca” Fernandez is one of the late Carlson Gracie’s most well known black belts in the United States. Born in Rio de Janeiro, Fernandez moved to the United States in the late 1980’s being a pioneer for Brazilian jiu jitsu in the country. 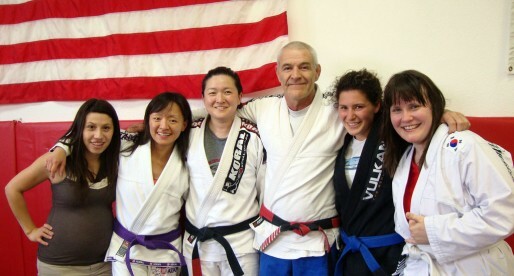 Julio is also the co-founder of BJJ Revolution Team. Marcio Dos Santos is coral belt in Brazilian Jiu Jitsu, and a leading figure of the sport during the 1980s decade, being directly involved in the development of Osvaldo Alves’ and Carlson Gracie’s teams, two of the most dominant academies in Jiu Jitsu during that era. 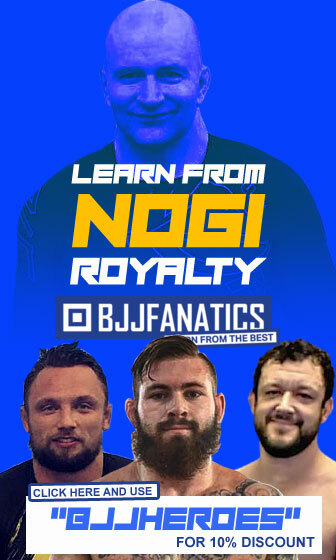 Totila Jordan, commonly known by his nickname ‘Pitoco’, is a Brazilian Jiu Jitsu black belt under the illustrious Renan Pitanguy, being also the co-founder of the Infight Academy. Master Pitoco was also one of the first coaches to develop Jiu Jitsu in the surfing hotspot of Barra da Tijuca in Rio de Janeiro. 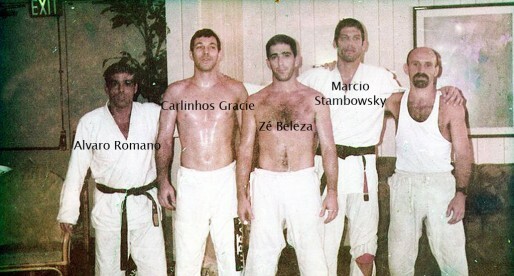 Marcio Stambowsky, also known as Macarrão, is a Brazilian Jiu Jitsu coral belt, who is one of the 10 men to have been graded as a black belt by the legendary Rolls Gracie, often (wrongly) mentioned as the “Famous Five”. Stambowsky, who was one of the top competitors of in the 1980’s. Paulo Mauricio Strauch is a Brazilian Jiu Jitsu Master (9th degree red belt) who trained under Master Reylson Gracie before founding his own academy in 1984. 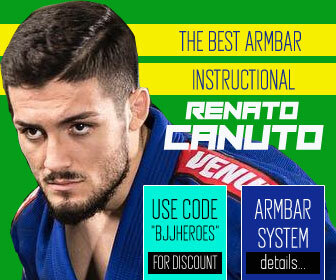 From his academy in Copacabana Master Paulo Mauricio Strauch has taught numerous champions such as the world famous Caio Terra, Alexandre Vieira and many others. Roberto Lage is 6th dan in Judo and a 7th degree coral belt in Brazilian Jiu Jitsu, being an important figure for Sao Paulo’s Jiu Jitsu landscape. Roberto Lage trained extensively with Otavio de Almeida (senior) becoming a BJJ instructor himself having formed the “Equipe Lage” academy. Master Cezar Guimarães, also known by his nickname “Casquinha”, is a Brazilian Jiu Jitsu black belt founder of the famous Rio de Janeiro academy, Top Brother, a team that has brought forward some highly talented competitors in both BJJ and MMA (Mixed Martial Arts). Cezar Guimarães also has a black belt in Judo where excelled as a competitor earning a spot in the Brazilian national junior squad. Carlos Elias, commonly known as “Caique”, is one of only 8 non Gracie men to have received the degree of black belt in Brazilian Jiu Jitsu by the late Great Master Helio Gracie. 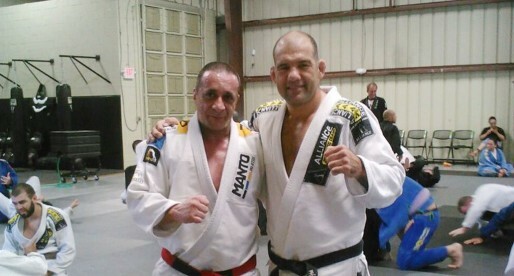 A former member of the Gracie Academy, Carlos Henrique “Caique” reached the degree of coral belt (red and black) in 2009 from Rickson Gracie, he is also one of the first men to bring BJJ to Southern California, where he has been located since the 1990’s. 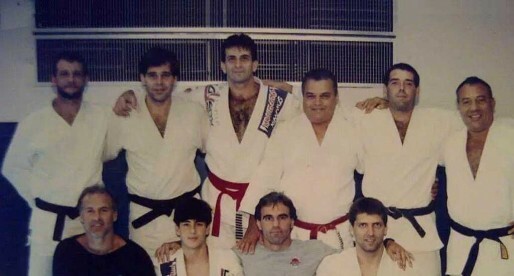 José Leão Teixeira or “Zé Beleza”, as he is often named within the BJJ community, is one of the founding members of the Gracie Barra academy and an important figure in jiu jitsu’s history. 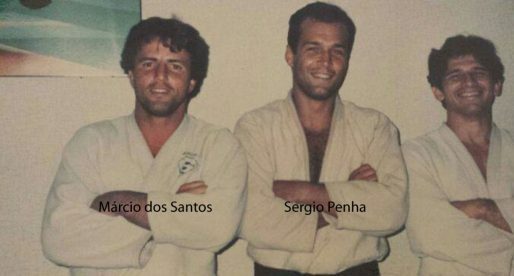 A former member of the epic grappling team built by Rolls Gracie, José Leão Teixeira founded the Leão Teixeira Jiu Jitsu School, one of the top kids BJJ academies in Brazil. 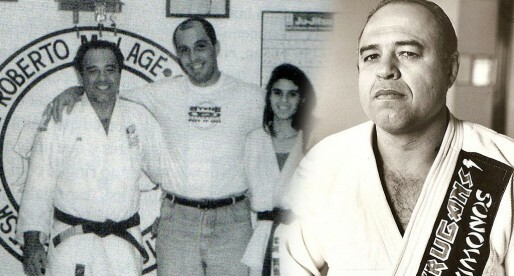 Jose Teixeira was also involved in creation of CBJJ/IBJJF. Fabio Santos is a 7th degree (7º grau) jiu jitsu coral belt and a black belt under Rickson Gracie who was also a pupil of the legendary Rolls Gracie for many years. Fabio Santos was also one of the first BJJ black belts to come to the United States of America to settle a jiu jitsu academy. The Fabio Santos Academy in San Diego – California is one of the most respected BJJ academies in the world, having formed several high class BJJ black belts. 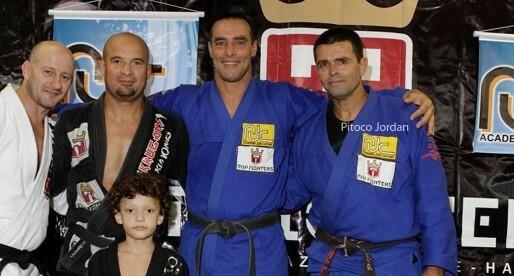 Master Fabio Santos is also a veteran competitor with several important titles. 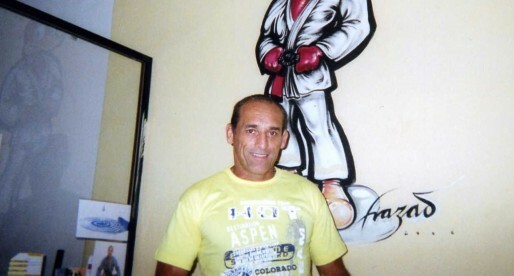 One of the best jiu jitsu competitors of the 1980’s & 1990s, Crezio de Souza competed for the Carlson Gracie Team in BJJ and MMA he was also part of Brazil’s wrestling team for the Havana Pan American Games (1991) and qualified for the Olympics in Barcelona (1992). 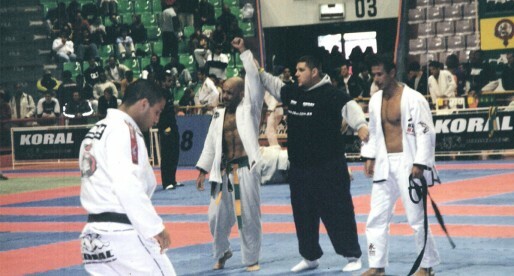 A true legend of the sport, the man from Petropolis also medalled in the Brazilian BJJ nationals in 2002 at the age of 40, being the first man to do so in the adult division. 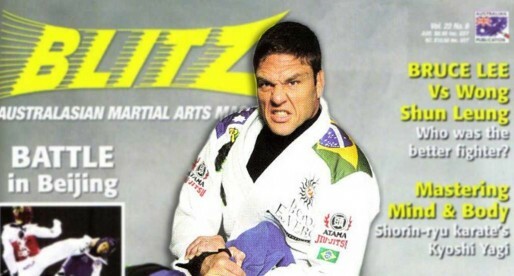 Walter Mattos is a historic Jiu Jitsu figure and one of the broadcasters for Jiu Jitsu in the southern region of Brazil, being alongside his friend Ze Mario Sperry, the founder of Sul Jiu Jitsu one of the biggest academies in the area, responsible for producing great fighters such as Fernando Paradeda. With affiliated academies all around the world, Equipe Fabricio has become one of the most well represented teams in BJJ today. The team’s leader, Fabricio Martins is a black belt from the Osvaldo Alves academy in Rio de Janeiro, Martins has managed to produce very strong talent and is highly requested for seminars around the world due to his coaching prowess. Rigan Machado is a legendary BJJ figure and one of the most feared Jiu Jitsu competitors of the 1980’s. Rigan was the first black belt of Carlos Gracie Junior and the founder of Machado Jiu Jitsu, one of the most prosperous grappling academies in the USA.